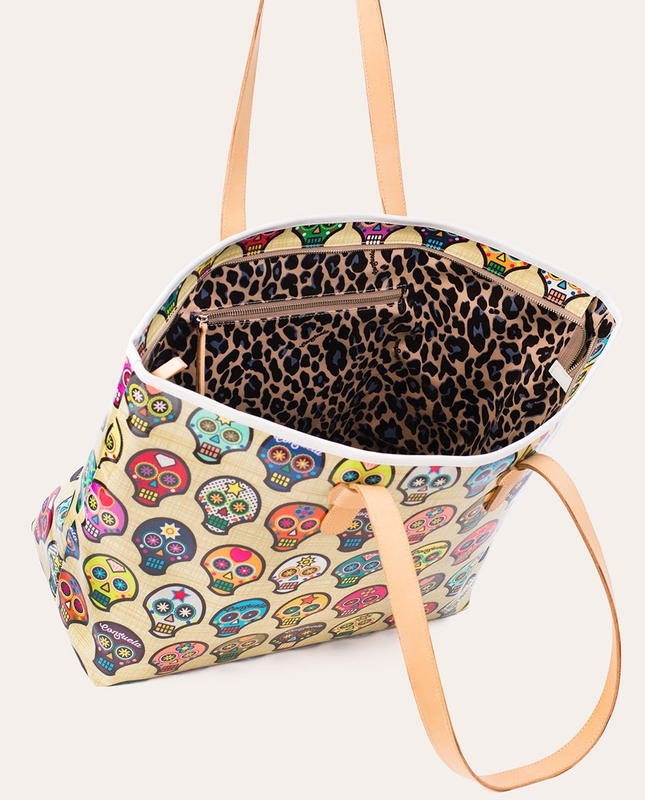 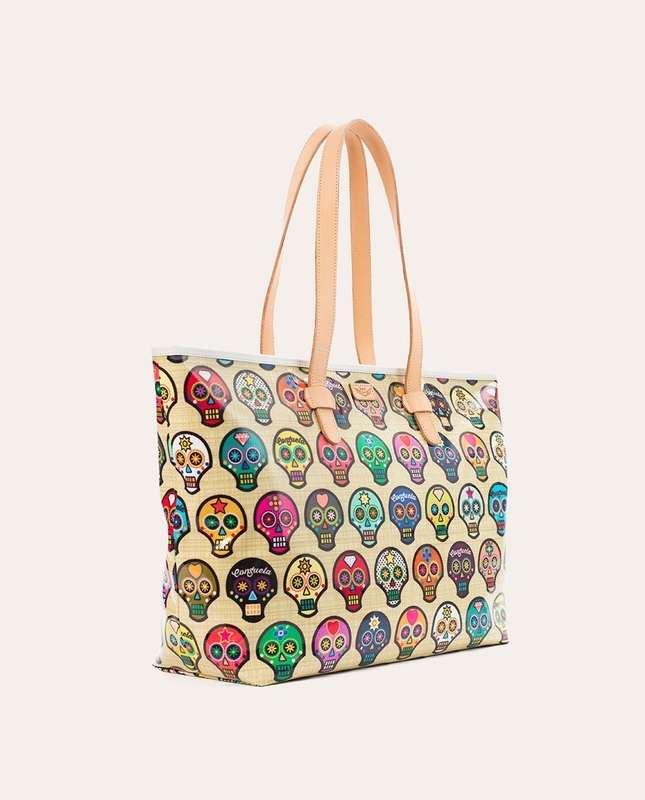 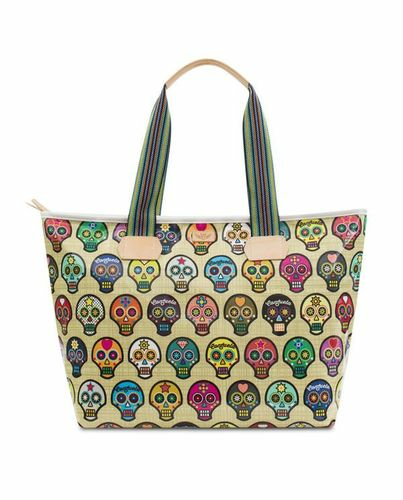 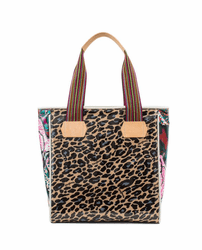 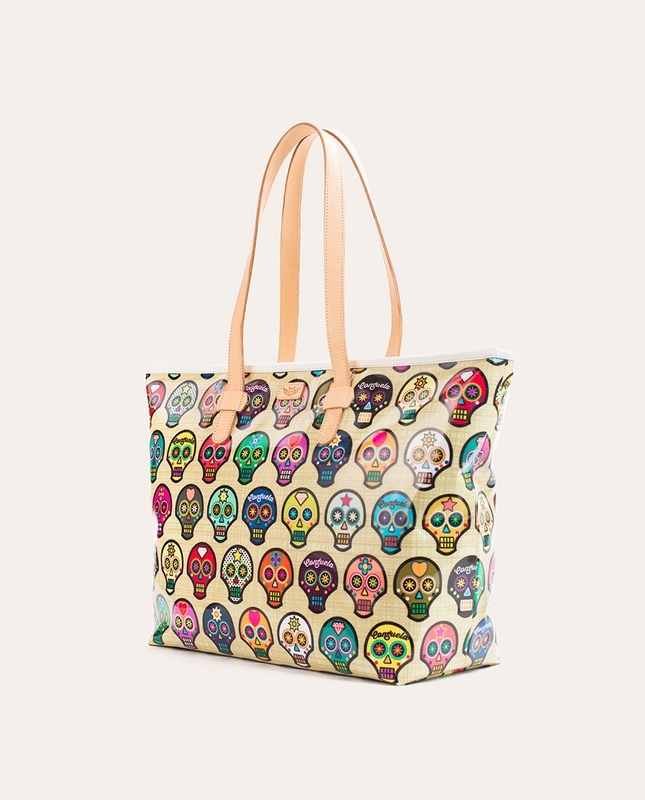 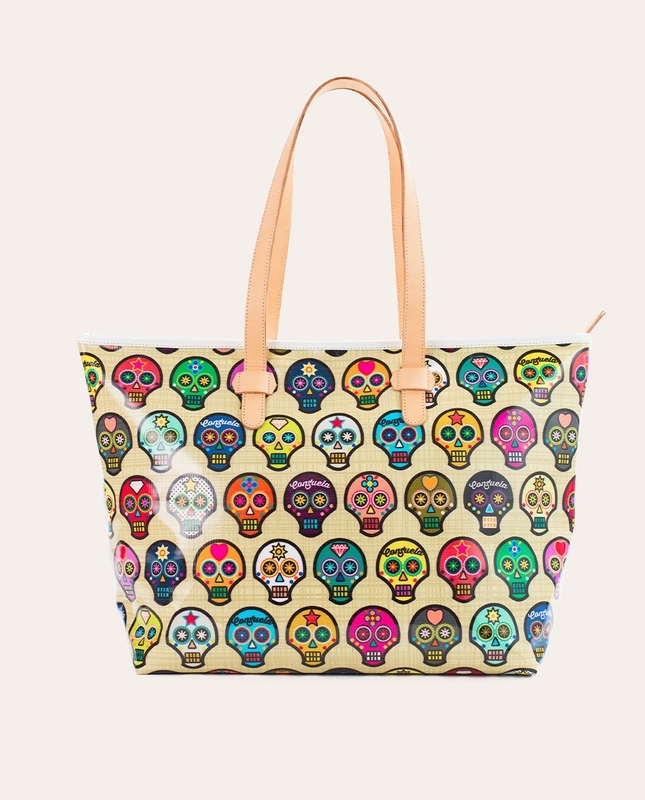 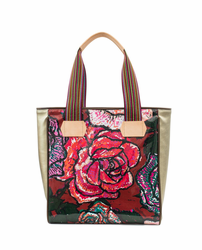 The Sugar Skulls Zipper Tote has is trimmed in natural leather with multicolored webbing handles. 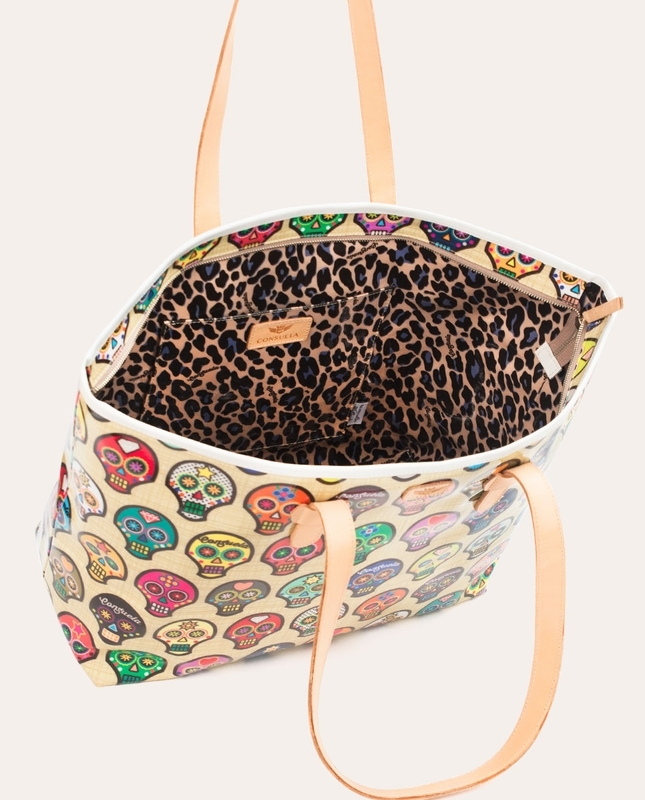 Inside the giant top-zip opening you’ll find Blue Jag lining, a zippered pocket and a large pocket —perfect to stash your cell phone and keys. 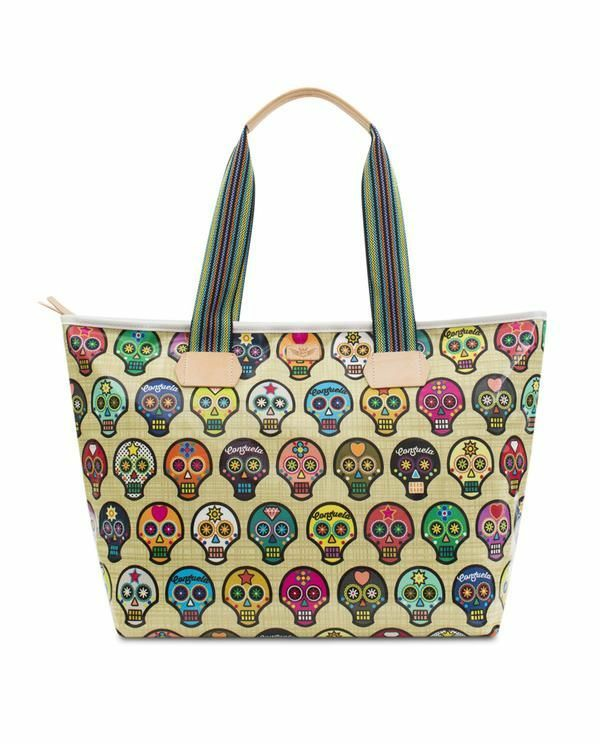 All items in Consuela's Legacy Collection are made in their unique ConsuelaCloth™, known for being durable, vibrant, and easy to care for. 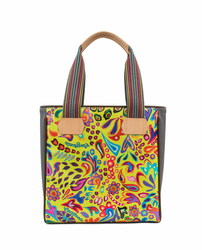 Dimensions: 23” (L) x 14.25” (H) x 7” (D); 10.625” Drop.